I wrote a 'Musician of the Month' piece for the March edition of Cassandra Voices, an online publication that "aspires to be a nexus for wide-ranging expertise". I talk about early musical experiences and influences. Available to read here. My old friend Ciaran Meister kindly invited me on to his Mines Clarence radio show on Dublin Digital Radio to talk about some of my favourite records and have a chat about music in general. Take a listen here (slot starts around 26:05). I have curated the next couple months of gigs at the Dublin Jazz Coop - an artist lead initiative, providing musicians in the Irish jazz / improvised music scene a space to play at no cost. 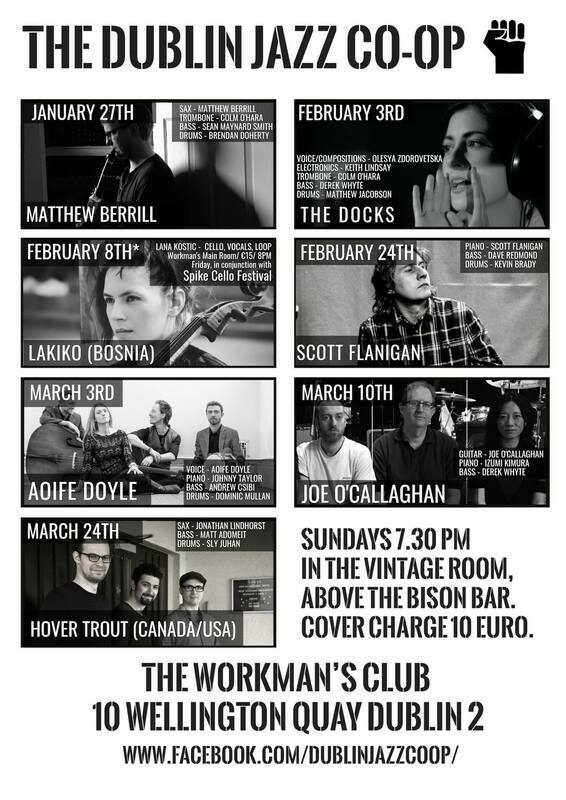 These gigs are happening on Sunday evenings at the Vintage Room, upstairs in the Workmans Club in Dublin. I tried to focus on artists from outside of Dublin for my series and am delighted that friends from around the world have agreed to come and play. A fairly choc-a-bloc few months coming up: extensive A E R I E tours in Ireland and Europe; various gigs with Umbra in Brussels, Paris and an extended 'SuperUmbra' project in Dublin; an Australian tour with Ronan Guilfoyle; short Irish tours with Clang Sayne and Ensemble Ériu and a couple of Christmas dates with new group Roamer. More info on dates page. Wonderful film-maker and graphic designer Louise Gaffney has just finished making some lovely videos of my dlr Musician-in-Residence performances from earlier this year. 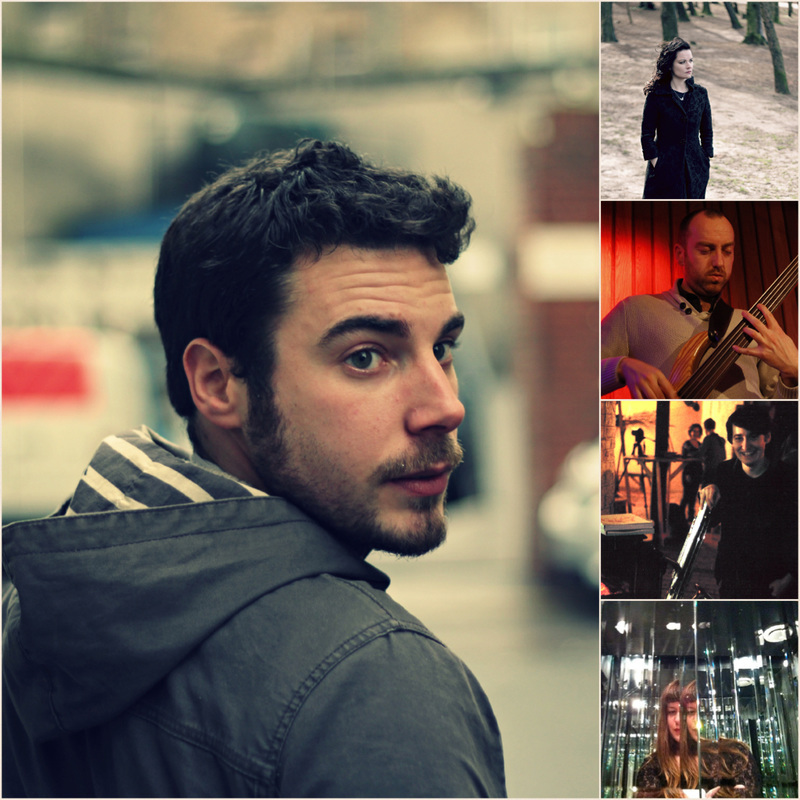 Here is a cut down of the four duos (with Sam Comerford, Linda Buckley, Derek Whyte and Jenna Harris). Had a great time at the Tyrone Guthrie Centre last week working on Ronan Guilfoyle's 'A Shy Going Boy' - a new piece using composition, improvisation and audio to explore the life and times of his Grandfather Joe Guilfoyle, who took part in the 1916 Rising and was a member of Michael Collins’ inner circle during the War of Independence. 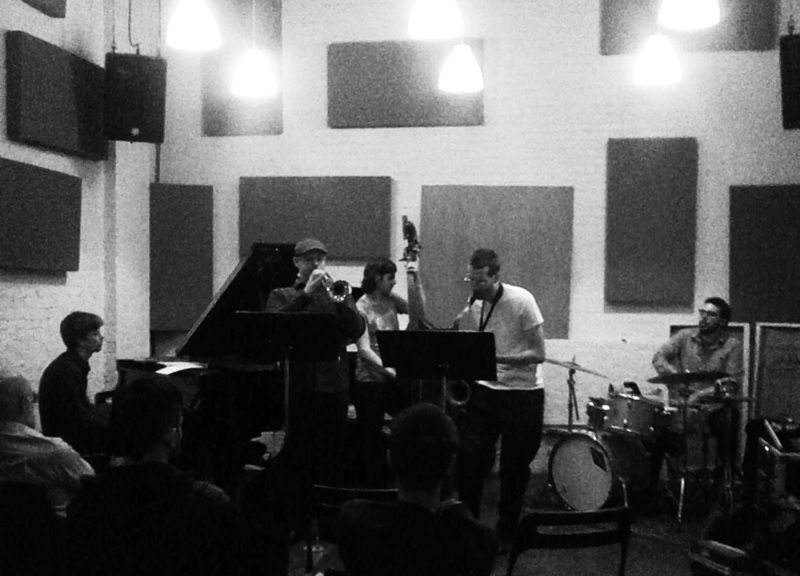 With Nick Smart on trumpet, Izumi Kimura on piano, Chris Guilfoyle on guitar and Ronan on bass. With We premiered at Triskel Christchurch in Cork on Sat 19th March and perform it again on the 30th April as part of the Bray Jazz Festival. 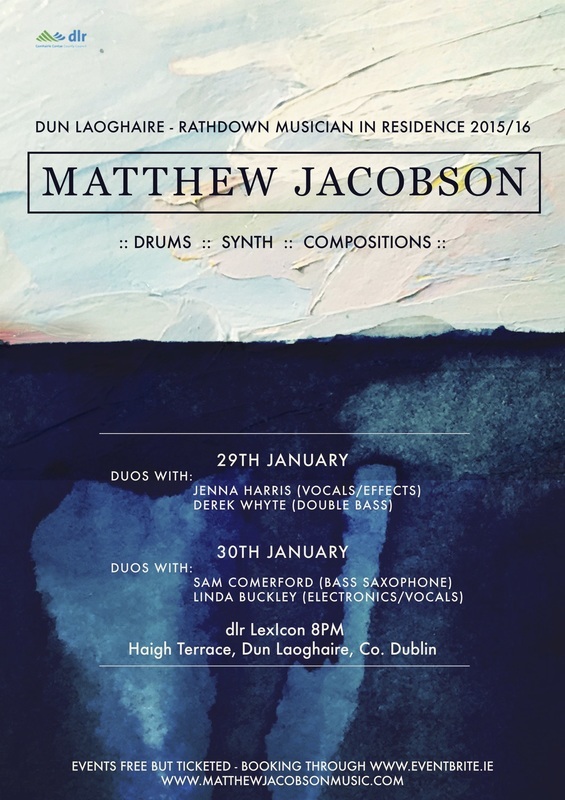 Very proud to be annouced as the inaugural Dun Laoghaire-Rathdown Musician in Residence from now until January 2016. This will entail developing material in duo settings with long-time collaborators and friends Jenna Harris, Derek Whyte, Linda Buckley and Sam Comerford. Other artists announced for later residencies are Elizabeth Hilliard and Gráinne Mulvey, The Eidola Trio featuring Anita Vedres, Malachy Robinson and Eamon Sweeney and composer Sebastian Adams. Delighted to announce that Chris Guilfoyle's UMBRA have been selected as this year's Irish representative at 12Points Festival, taking place in Dublin's Project Arts Centre 15th - 18th April. Always a great few days with some of Europe's most creative young musicians in town. It was announced today that Enesemble Ériu have been awarded the 2015 TG4 Gradam Ceoil award for Musical Collaboration! The award ceremony will take place in the Cork Opera House on the 22nd February, after which EÉ will travel to London for a gig in the Slughtered Lamb and Paris for a gig at the Irish Cultural Centre. I am now the proud owner/user of some lovely Jesse Simpson original cymbals! Jesse is an incredibly talented cymbalsmith (as well as a wonderful drummer AND pianist... ugh he makes me sick) and I am delighted with how my custom 22" ride and 18" crash/ride have turned out. Will post some pics and audio/video links soon. The purchase of these cymbals was made possible through Music Network's Capital Scheme Grant and the Irish Arts Council. 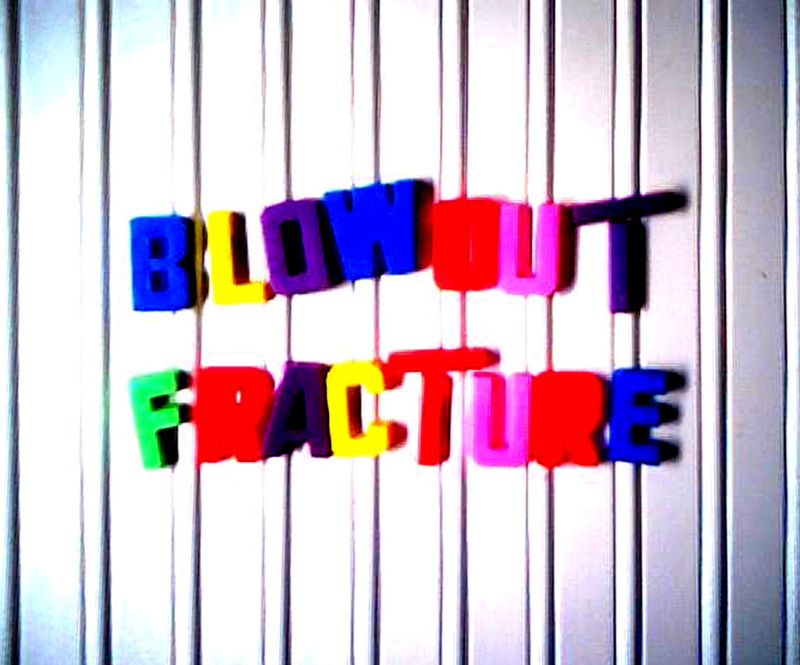 Heading off tomorrow to Germany, Switzerland and Belgium for a bunch of gigs and recordings with Ingo Hipp's AERIE and then Blowout Fracture. Very excited to play and hang with these great musicians and friends again! Haven't posted any news in a while after a pretty﻿ hectic summer playing with Ensemble Ériu, Laura Hyland, Francesco Turrisi among others, but have some great upcoming projects to announce. From 5th - 8th Oct I have been invited to represent Ireland at the 3rd version of Melting Pot in Wroclaw, Poland - a three-day laboratory for improvisers representing different European countries. 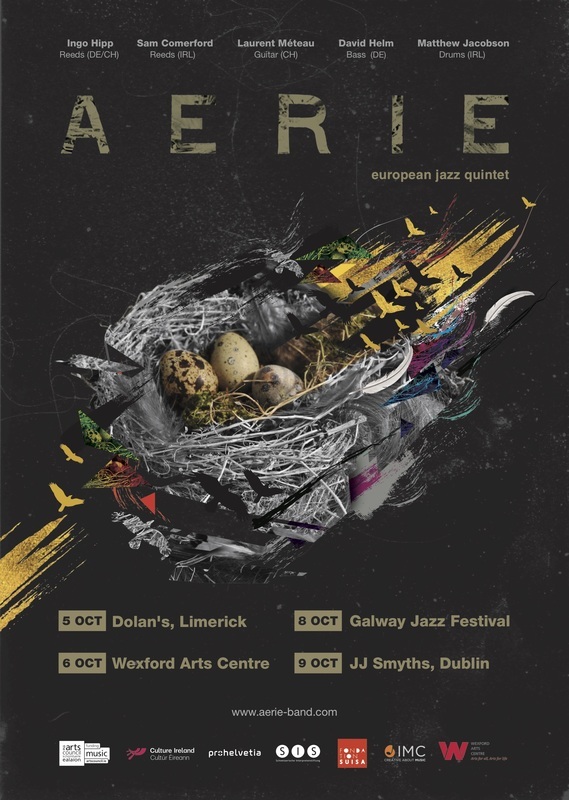 Will also be playing at the Cork Jazz Festival at the end of the month with Enesmble Ériu and Francesco Turrisi and will be touring Switzerland, Germany & Belgium with AERIE and Blowout Fracture in November/December. Back in Ireland after an amazing nine months in NY. Was a hugely inspirational and productive time for me and I sincerely thank all who I met along the way. Looking forward to getting stuck back into things at home - check out my dates page for upcoming gigs with Luara Hyland's Clang Sayne, Ensemble Ériu, Francesco Turrisi's Taquin Experiments, a couple of sneaky festival appearances with friends from Kammerpop and a trip to London to perform with a transatlantic quartet version of Creepers! 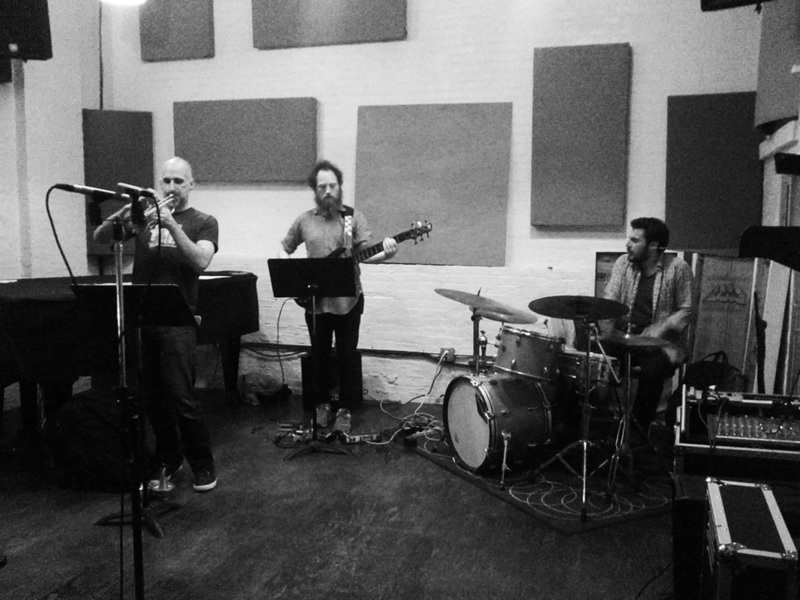 After a very busy but productive couple weeks in Ireland I returned to NY for two more gigs at iBeam, the first on the 5th May with Shipping & Receiving, a new quintet featuring Justin Carroll on keys, Ed Rosenberg on tenor, Jeff Hermanson on trumpet and Adam Hopkins and the second with my new trio, alongside Ralph Alessi on trumpet and Simon Jermyn on bass. 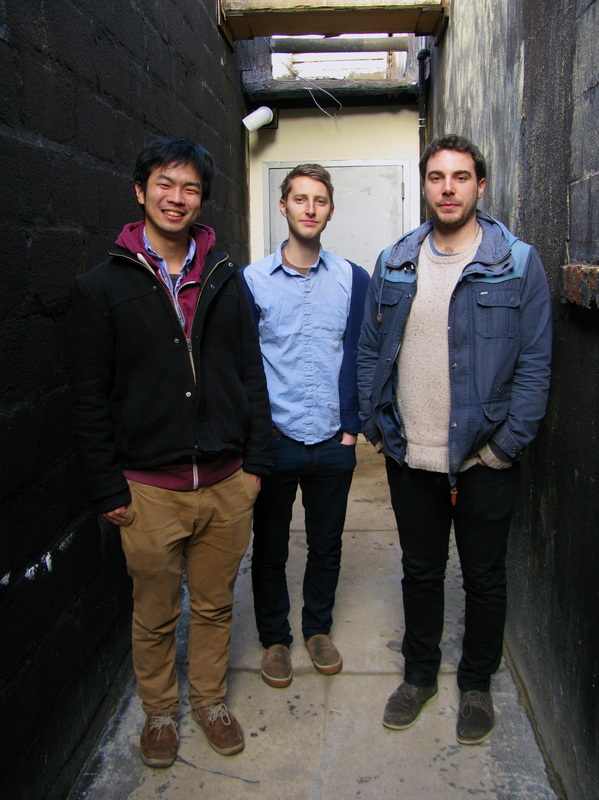 Another new trio project this month and again a performance at iBeam. FarJam features long-time collaborator guitarist Keisuke Matsuno and vibraphonist Patricia Franceschy. Happening on Sunday 16th March at 8.30pm, the set will see us improvise with rhythmic ditties from each of us. After a whirl-wind five weeks in Europe - including tours with Aerie and ReDiviDeR, performances with George Higgs' Door, launching the Ensemble Ériu album and recording a new Clang Sayne album - I am now back in NY and have my first stateside gigs this Saturday with the Jesse Simpson Trio at Garage from 6-10pm and then hosting the Cleopatra's Needle session from 12.30-3am! Ensemble Ériu album is out now on Raelach Records! We will be launching at Charlie Byrne's Bookshop, Galway on the 18th November and at the Back Loft, Dublin on the 21st November. 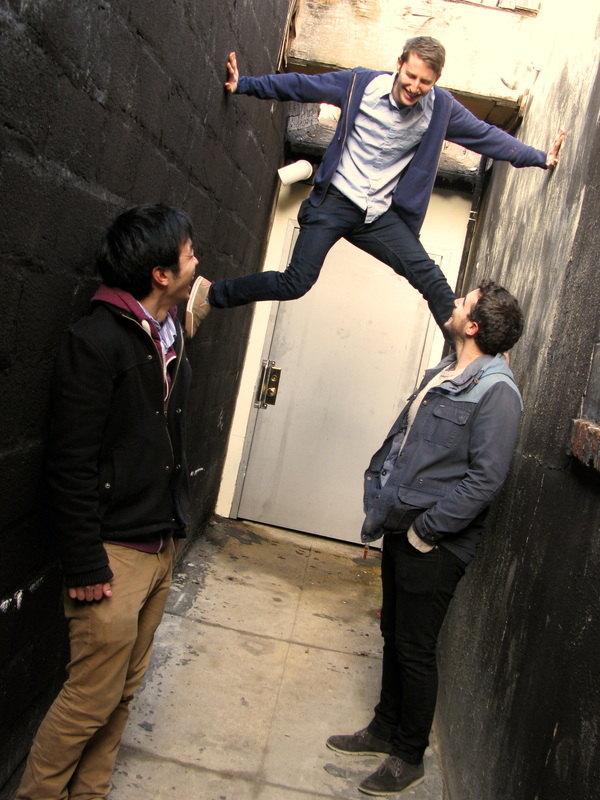 Was a lot of fun making this record and will be great to play the material again. ReDiviDeR meets I Dig Monk, Tuned is now available through the Diatribe website! Some great reviews coming in of new ReDiviDeR record. Check out four-star Marlbank review here and No More Workshorse review here. Official release date 7th October. Looking forward to playing composer and musical instrument inventor George Higgs' DOOR with cellist Kate Ellis at the Big House Festival, Celbridge from the 3rd - 5th August 2013. 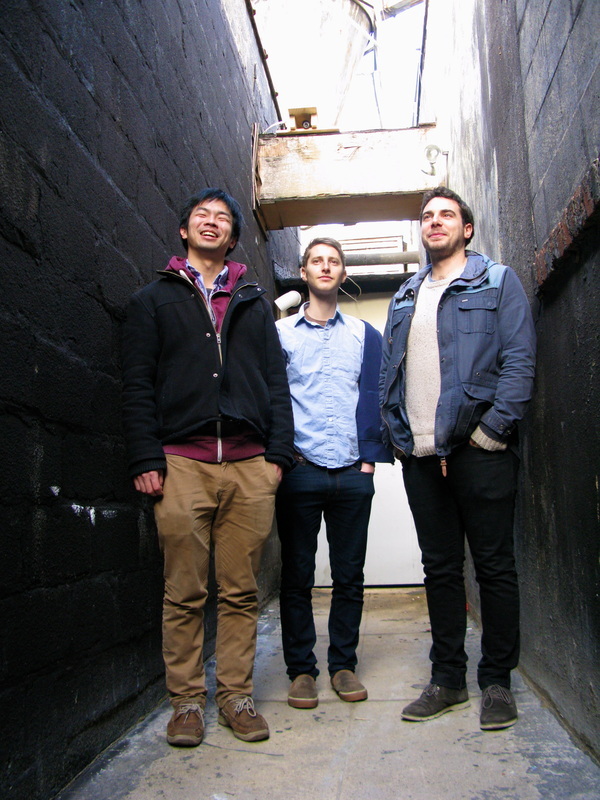 Spending three days rehearsing followed by a performance at Smock Alley Theatre with new improvising trio MUGA (Shane Latimer - guitar/electronics, Izumi Kimura - piano, me - drums/percussion) 26th - 29th July 2013. I was recently awarded a Fulbright Scholar Award in Performing Arts to 'explore the area between composition and improvisation' in Brooklyn, New York from September 2013 - June 2014! I will be affiliated with the School for Improvisational Music (SIM) and am incredibly excited and honoured to have this opportunity to develop my music in the most creative scene with some of the most incredible musicians in the world. Premiering excellent Irish composer Ian Wilson's piece, The Hours, for jazz trio and string quartet at the Cork Midsummer Festival at Triskel Christchurch, 27th June 2013. I will be performing at the EuroJazz Festival in Mexico City on 17th March 2013 in front of a crowd of 10,000 with the Matt Halpin Trio - featuring the super-talented bassist Jared Henderson. 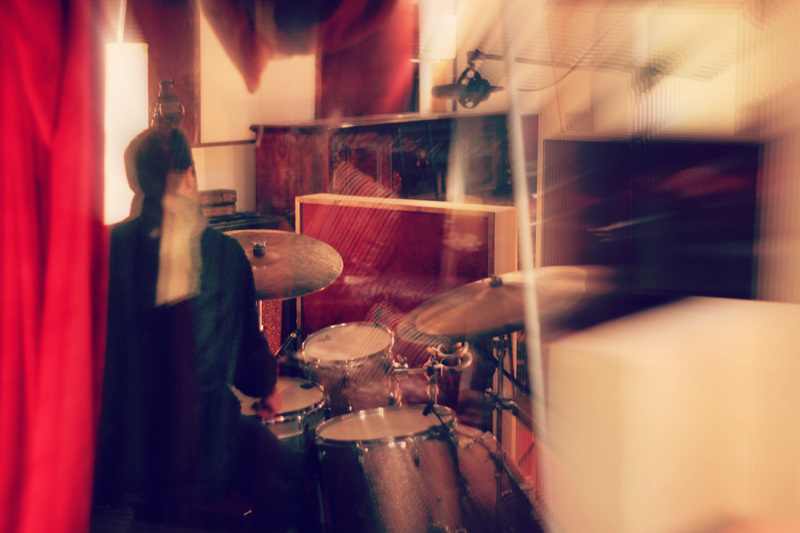 I have been awarded a Music Network Recording Scheme grant to record a second ReDiviDeR album. This will feature four special guests from the UK performing on one tune each, which I will specifically compose for this project. To be released in Autumn 2013.